When you call New Orleans Locksmith in New Orleans, Louisiana, you can tell right away that experience makes the difference. 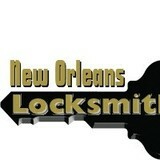 From your initial call until the job that you need done is complete, you can count on the professional team at New Orleans Locksmith to perform the most high quality service for the most affordable price, on every case, residential or commercial, from break-ins, lockouts, and stolen keys to lock and cylinder repair and replacement. They also supply and fit security doors, window grilles and security bar doors. Whether you need a dependable 24-hour emergency locksmith, a mobile auto locksmith or just a dedicated professional in the field, if you are in search of the best locksmith in New Orleans, LA you will definitely be impressed with New Orleans Locksmith. What types of garage door service tasks do contractors in Saint Benedict, LA provide? A damaged garage door can lead to increased security risk, ruined belongings and an unpleasant exterior, so look for Saint Benedict, LA repair professionals who provide same-day or emergency services if the damage is extensive and poses a potential health and safety risk. Find Saint Benedict, LA garage door repair professionals on Houzz. Narrow your search for garage door repair professionals by selecting the nearest city or zip code. Look at portfolio and product photos, and read reviews to find the best garage door contractors in Saint Benedict, LA for your home.